Yesterday I spent the day building up my general knowledge of domestic appliances. 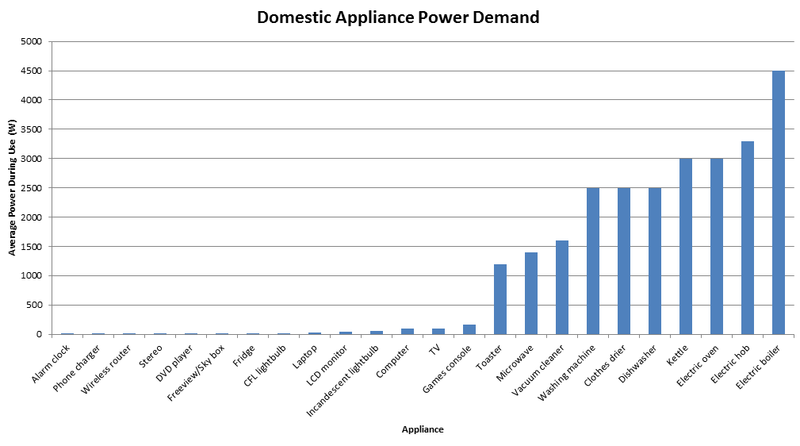 I looked up ballpark figures for each appliance's average power during use. 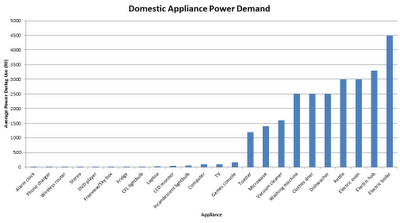 This demonstrates which appliances are likely to make characteristic step changes in power when they turn on and off. The results are shown below. There's a clear split between appliances that generate heat (right side) and those that do not (left side). 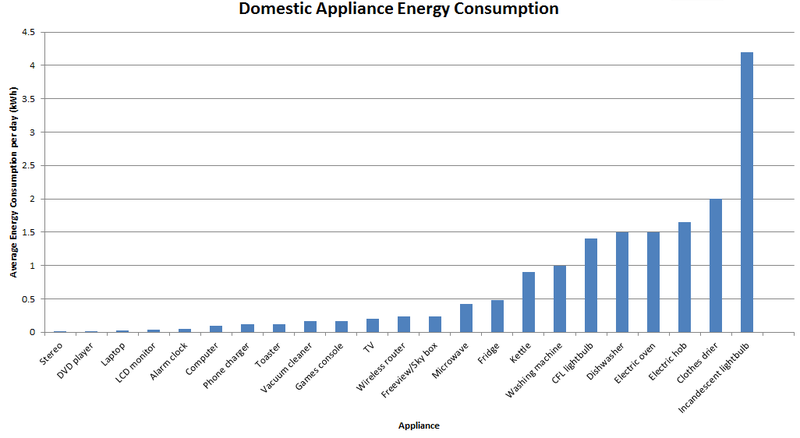 However, we care more about appliances that consume most energy, not that draw the most power. 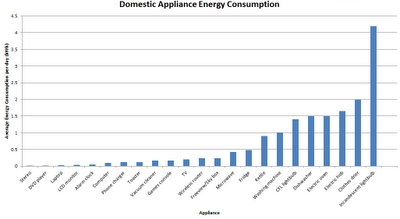 To compare the appliances' energy consumption, I needed to estimate their duration of usage each day. I assumed they were present in a standard house of 2 people. The results are below. It's import to note that I've excluded the electric boiler to aid comparison, as its consumption dwarfs that of other appliances. We now see things like lights creeping up the scale, so these are things we should care about more. It's also worth noting what the power drawn by these appliances looks like. Many appliances change state while in use, and therefore draw varying power. These changes of state often repeat, and I've therefore classed these appliances according to whether their power demand is cyclic or constant. The fridge, washing machine, dishwasher and clothes drier are all cyclic appliances, and the rest are constant.